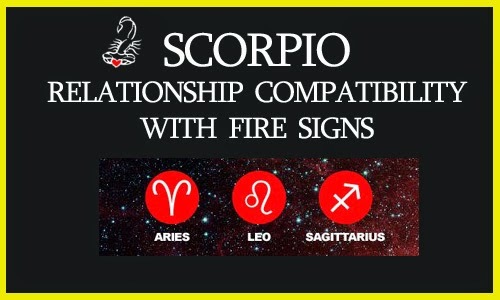 Scorpio is a Water sign, and Aries is a Fire sign. These two may appear to be opposites, but they have far more in common than they initially think. Both Aries and Scorpio share a common ruler: Mars, the Planet of Action. Mars imbues you both with tremendous passion, inner strength, courage, vitality, energy, and enthusiasm for life. When these two are together, they motivate each other to excel, they push each other past each other’s comfort zones, they support each other and encourage each other. However, they can also be extremely competitive with one another, because they both seek to win above all else. If they are both in the same career path or share the same hobby, things can get ugly if they are aiming for the same prize. The differences between Aries and Scorpio are significant. Although both of them have a short temper and you lose your patience easily, Aries tends to forgive and forget much more easily than Scorpio. When hurt or deceived, Scorpio tends to hold on to that hurt and will remember it forever. Scorpio has a tendency to hold a grudge and seek revenge. That’s why Aries has to be very careful with the words they use when talking to Scorpio. Both Aries and Scorpio have a tendency to say things they do not mean when they are angry, but that could lead to dreadful explosions. Scorpio is likely to be more emotionally invested into the relationship than Aries first appears to be. Scorpio bonds deeply and intensely to the one they love, and Scorpio shows their devotion and appreciation for their partner by paying attention to the little things. Scorpio seeks the same care and affection in return, but because Aries is more action-oriented, they may not be as sentimental and emotional as Scorpio is, which could lead to a conflict in the way they both express their love. When Scorpio and Aries get in a fight, it becomes stormy, fiery, and explosive. It is advised for them both to partake in physical activities together to unleash their intensity and propensity to go to extremes. Although Scorpio and Aries have somewhat contrasting approaches on life and love, they both share a love of passion, freedom, independence, adventure, and romance. If they are able to accept each other for who they are and not try to manipulate one another into changing, then they have great chances of experiencing a lasting and fulfilling relationship. Scorpio and Leo are extremely passionate, sensual, and devoted individuals. Leo is a Fire sign, and when combined with Scorpio’s intense and emotional Waters, this duo often finds themselves the center of attention, leading the pack with their confidence and power. The attraction that Leo and Scorpio feels is undeniable. They are magnetically tied to one another, even though their relationship can sometimes vacillate between hate and love. Leo and Scorpio are likely to have an explosive and passionate relationship, physically, mentally, and spiritually. They both can be very competitive and sometimes even aggressive with one another. They like to challenge each other, for better or for worse. These two are attracted to each other like magnets, and there can be an obsessive and addicting quality to their attraction and overall relationship. One of the most positive aspects of this compatibility is that neither sign will ever be bored with each other. They know each other’s ins and outs, and although Scorpio may sometimes get frustrated with Leo’s impulsive or egoistical antics, Scorpio is also highly intrigued and fascinated by them. Leo can be the ultimate force in Scorpio’s eyes. Strong, confident, capable, proud and respectful. When deeply attached, Leo treats Scorpio like royalty and makes them feel incredible. This makes it easy for Scorpio to return the devotion and respect Leo’s way. Leo appreciates how intensely loyal and devoted Scorpio is, for they find that to be a very rare trait. Scorpio is prone to getting jealous and overly possessive. Leo can be equally possessive, but tends to have an even bigger ego than Scorpio, so they will not always admit what they view as their less attractive feelings openly. Leo being a Fire sign, has impulsive and quickly passive emotions. Leo can live in a self-centered universe and expect their needs to be attended to first. In order to maintain harmony in their relationship with Scorpio, Leo must practice empathy and be less judgmental of Scorpio’s complex or changing moods. Both Leo and Scorpio want to have the upper hand in the relationship by making it appear as though they care less than they actually do. There may therefore be many power struggles and ego conflicts in this partnership. These two should take extra care to not play games in love, for Scorpio takes romance very seriously and Leo does not tolerate any disrespect. Rather than focusing on who is right, these two should focus on how to love and treat each other right, and everything else will into place. A Scorpio-Leo relationship is hit or miss, depending on whether both signs choose to make the emphasis of their pairing love, or war. Scorpio lives in a world of black and white and does not see the middle ground in most situations. Sagittarius on the other hand, is as free as a bird, always up to something new. Sagittarius is the adventurer, an optimist, an idealist, and a philosopher. Sagittarius is attracted to Scorpio’s passionate and extreme personality, and this may be a strong base for their initial friendship. However over time, Sagittarius may find Scorpio to be too overbearing or intense for their light-hearted, go-with-the-flow nature. Scorpio views Sagittarius as a bit of a weird mystery, because they are so used to figuring everyone out upon the first few seconds of meeting them. As Scorpio gets to know Sagittarius more, Scorpio realizes that they are extremely radical, progressive, fun-loving, and spontaneous. Sagittarius is not always the most dependable person, however, because they do not feel like following time restraints or set schedules. However, Scorpio can always rely on Sagittarius to make them laugh when they are feeling down. Sagittarius tends to view the glass as half full, and they have a highly contagious sense of humor. Sagittarius helps Scorpio take things more lightly. Sagittarius is often perplexed by Scorpio’s critical, discriminating, suspicious and selective personality. Sagittarius is intrigued by how Scorpio is able to focus their attention on one project at a time, while Sagittarius is always distracted, searching for something or someone new. Scorpio is someone who takes loyalty very seriously, in both love and friendship. Scorpio does not have a huge amount of friends, but rather a few select close ones whom they share their life. 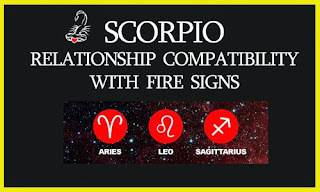 Therefore, Scorpio may feel frustrated when they make Sagittarius a priority and Sagittarius chooses to mingle with some of their many other friends. This can be very disheartening and disappointing for Scorpio, as Scorpio seems to always be the one giving more in the relationship. This may not actually be the case, but this is the impression Scorpio may receive from Sagittarius — as though they are the most emotionally invested. Sagittarius prefers to show their commitment to the relationship through spontaneous acts of kindness and by taking Scorpio on fun and spontaneous outings. The key to overcoming this obstacle is to have an open and respectful communication on this topic. Sagittarius will likely say that having freedom is their utmost priority, and even if it seems like they are off somewhere, Sagittarius will always come back to Scorpio if she trusts him. But Scorpio can sometimes be tired of waiting. The solution for Scorpio would be to learn the art of detachment and not attempt to always get Sagittarius to stick by their side, but to simply express their desire for Sagittarius’ presence and patiently observe their response. The greatest threat to a successful partnership is if either of you fail to be truthful with one another, and/or if you impose on one another’s freedom. Sagittarius in particular dislikes clingy people, and Scorpio dislikes people who are too nosey. You must build trust between both of you, and learn to appreciate distance and time apart, because it will make you appreciate the bond you have rather than become resentful. Despite your differences, you have so much to learn from each other if you’re willing to compromise & accept what makes you both so unique.